The Nerdvark's Favourite Linking Words - Part 2! The Nerdvark had so much fun harassing Nardvark and sharing his tips on using effective linking words, that he is back with a second round. Use these words and phrases to draw attention to a particular feature or idea. 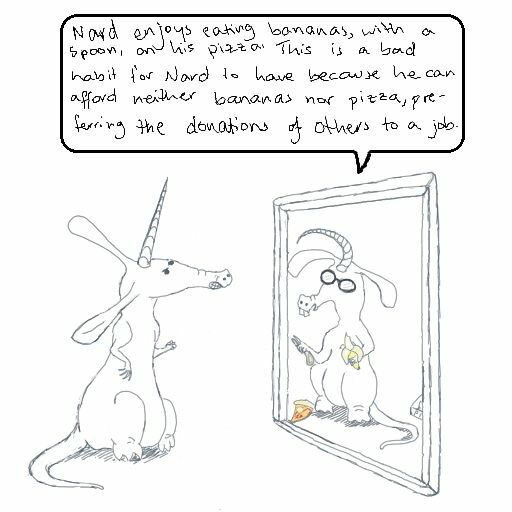 Nardvark spends his day doing a lot of odd things. He has daily half-hour practice sessions to perfect his skills at eating soda crackers and then whistling. He sings in elevators to see if anyone will look at him. Above all, Nardvark's most bizarre habit is to lie on his back and attempt to balance marbles on the tip of his nose. This habit is particularly strange, because Nardvark has an extremely floppy nose, which makes marble-balancing exceptionally difficult for him. It is especially strange to note that Nardvark spends several hours at it every day. One would think he would dedicate his time to a more valuable pursuit, but no. This is made significantly more disturbing when one considers the fact that Nardvark does not have a job and must rely on the pity of others to survive. Nardvark is not a pretty creature. Take his nose, for example; it is ridiculously long and floppy. 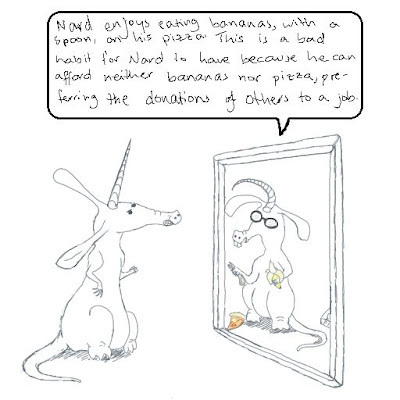 Nardvark has a lot of strange physical features, such as his pointy ears, long nose, and silly grin. 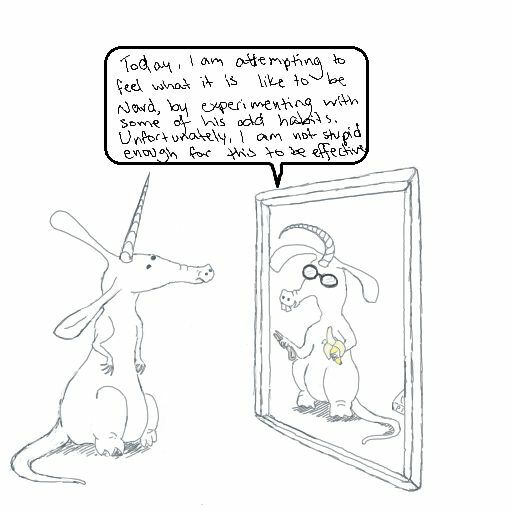 Nardvark has a lot of bizarre habits. For instance, he eats pizza with a spoon. Nardvark has extremely ghetto tastes, as revealed by his penchant for ketchup. Nardvark enjoys condiments more than he does his actual meals. In the case of ketchup, he puts it on everything from scrambled eggs to ice cream. This is how Nardvark spends his day. After sleeping until the crack of noon, he gets up and then proceeds to examine his nose in the mirror for up to half an hour. Next, he prepares his first meal of the day, which I hesitate to call "breakfast" because it is taken after the time that most people eat lunch, and it rarely consists of any type of normal breakfast food, like cereal. Meanwhile, he is usually running the bath in his Jacuzzi tub so he can play with his boats after his meal. 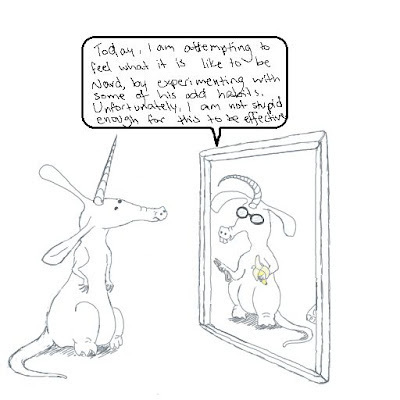 Finally, Nardvark gets down to what he considers his important work of practising his nose-marble-balancing act. If he stays awake, after balancing marbles on his nose for a few hours, he may decide to go sing in one of his favourite elevators or eat some soda crackers and then whistle. There are three things that drive Nardvark crazy. First, I hide his ketchup and/or spoons so he can't eat until he finds them. Second, and this really bothers him, I tell him that he will never balance that marble. Third, when I blog about his strange looks and bizarre lifestyle for the lols it really irritates him. 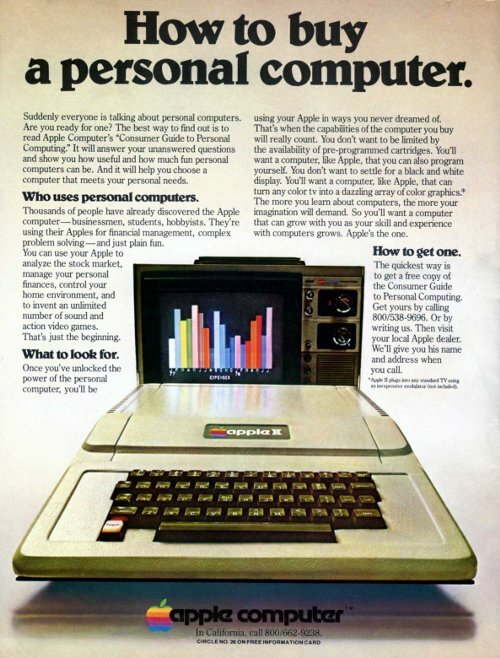 Who wouldn't want to let a few words take their writing from good to awesome? Linking ideas together in your writing creates cohesion, flow, strength, and clarity. Let the Nerdvark show you how by revealings some interesting facts about his buddy, Nardvark. Nardvark is weird. He likes bananas on his pizza and he eats it with a spoon. Nerdvark is weird. As well as using a spoon to eat his pizza, he puts bananas on it. In addition to putting bananas on it, that weirdo Nerdvark eats pizza with a spoon. Nerdvark is so weird he puts bananas on his pizza. Furthermore, he eats it with a spoon. Drunken monkeys are extremely silly. Nardvark is equally silly. If you put vinegar in baking soda, it will fizz. Similarly, if you put an intelligent thought in Nardvark's brain, it too will fizz. Dinosaurs had extremely small brains for the size of their bodies. Likewise, Nardvark's brain is minuscule compared to his body. As with lap dogs, if you try to speak to Nardvark using complete sentences, he will become confused. Nardvark ate his pillow because he thought it was a really big, squishy marshmallow. Because he thought it was a really big, squishy marshmallow, Nardvark ate his pillow. Nerdvark told Nardvark that his pillow was actually a big, delicious marshmallow. Therefore, Nardvark ate it. Nardvark erroneously mistook his pillow for an enormous marshmallow. Thus, he ate it. 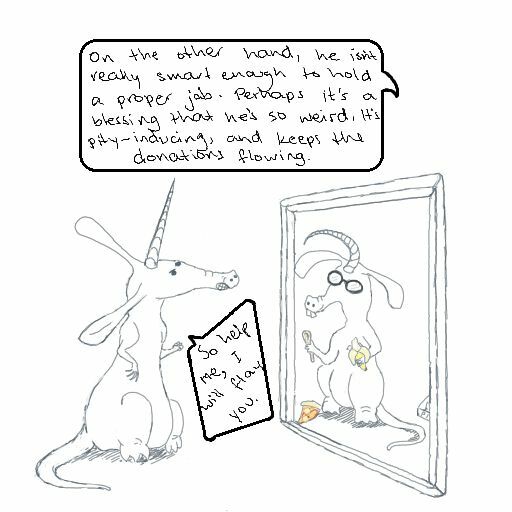 Nardvark woke up this morning to discover what he thought was a scrumptious marshmallow under his head, and consequently he needs a new pillow. Have fun with these exciting linking words, and come back next time for more! The amazing thing is that this book was published in 1979, but Douglas Adams must have been psychic or something, because The Hitchhiker's Guide to the Galaxy in the book is pretty much a Kindle or iPad. To learn more about this relic, click here. Now read on and enjoy this excerpt from "Hitchhiker's Guide to the Galaxy:"
Ford handed the book to Arthur. ‘What is it?’ asked Arthur. Arthur turned it over nervously in his hands. ‘I’ll show you how it works,’ said Ford. He snatched it from Arthur, who was still holding it as if it was a two-week-dead lark, and pulled it out of its cover. A screen, about three inches by four, lit up and characters began to flicker across the surface. The words Vogon Constructor Fleets flared in green across the screen. Ford pressed a large red button at the bottom of the screen and words began to undulate across it. At the same time, the book began to speak the entry as well in a still, quiet measured voice. This is what the book said. ‘Vogon Constructor Fleets. Here is what to do if you want to get a lift from a Vogon: forget it. They are one of the most unpleasant races in the Galaxy – not actually evil, but bad-tempered, bureaucratic, officious and callous. They wouldn’t lift a finger to save their own grandmother from the Ravenous Bugblatter Beast of Traal without orders signed in triplicate, sent in, sent back, queried, lost, found, subjected to public inquiry, lost again, and finally buried in soft peat for three months and recycled as firelighters. ‘The best way to get a drink out of a Vogon is to stick you finger down his throat, and the best way to irritate him is to feed his grandmother to the Ravenous Bugblatter Beast of Traal. Simile - This compares the book to a dead bird. The bird has been dead for two weeks, so it is probably smelly and covered in maggots and flies by this point. Of course Arthur was not really holding a dead, maggoty bird. This simile shows the reader what kind of attitude Arthur was holding the book with. In this case, it would seem that he is not too thrilled to be holding this book. This also gives us some insight to Arthur's character -- he is a bit of a wimp. Verbs - But not just any verbs. These verbs are each carefully selected by the author to give the reader a good mental image of what the subjects of the verbs are doing, and also to invoke feelings to set or alter the mood of the passage. "Flicker" tells the reader that the words are quickly flashing, and sets a technological mood. "Tapped" shows the reader that Ford is an adept typist on the electronic book; he has used it a lot. "Flared" is more ominous than "flicker," so it immediately warns the reader that they are going to find out some nasty things about the Vogons. "Undulate" is also a bit of a creepy way for words to move. It is something that worms or eels do. Hyperbole - In other words, an exaggeration. Hyperbole is often used in comedic works because it is funny to exaggerate. Repetition - The words "Ravenous Bugblatter Beast of Traal" are pretty funny, so you can see why Douglas Adams would want to repeat them. The repetition also ties this idea to the one before it, and is funny again because it reiterates to the reader just how bureaucratic the Vogons are, without going into the actual description again. This book is awesome because it is told from the point-of-view of a dog. It's not obvious, because Jack London's protagonist is a very human-like dog: he has human thoughts and feelings, and most importantly, in this story, he experiences the drive we all have from time to time--that to return to nature. That's The Call of the Wild. Read the introductory paragraphs, and then scroll down below for my brief commentary on them. For your convenience, literary tools are highlighted in a lovely pale orange. Buck did not read the newspapers, or he would have known that trouble was brewing, not alone for himself, but for every tide-water dog, strong of muscle and with warm, long hair, from Puget Sound to San Diego. Because men, groping in the Arctic darkness, had found a yellow metal, and because steamship and transportation companies were booming the find, thousands of men were rushing into the Northland. These men wanted dogs, and the dogs they wanted were heavy dogs, with strong muscles by which to toil, and furry coats to protect them from the frost. Buck lived at a big house in the sun-kissed Santa Clara Valley. Judge Miller's place, it was called. It stood back from the road, half hidden among the trees, through which glimpses could be caught of the wide cool veranda that ran around its four sides. The house was approached by gravelled driveways which wound about through wide-spreading lawns and under the interlacing boughs of tall poplars. At the rear things were on even a more spacious scale than at the front. There were great stables, where a dozen grooms and boys held forth, rows of vine-clad servants' cottages, an endless and orderly array of outhouses, long grape arbors, green pastures, orchards, and berry patches. Then there was the pumping plant for the artesian well, and the big cement tank where Judge Miller's boys took their morning plunge and kept cool in the hot afternoon. The mood shifts in these two paragraphs, from a hint of the danger that is to come in the first paragraph, to the pleasant surroundings that Buck will leave behind in the second. In the first paragraph, words like "groping," "darkness," "yellow metal" (instead of "gold"), "booming," "toil" and "frost" foreshadow a challenging future for Buck, working hard for men in the dark, cold north. In contrast, in the second paragraph, we are introduced to Buck's comfortable home. A pleasant atmosphere is built through words like "sun-kissed," "wide," and "cool." The second paragraph builds delightful visual imagery of Buck's home: "half hidden among the trees" shows that the house is approachable yet still private, and embedded in a natural environment. The word "approached" echoes the idea that friends and neighbours are welcome there. "Wide-spreading lawns and under the interlacing boughs" lets the reader imagine a wonderful place for a dog--space to play, and shade to relax in. Then London takes us to the back of the property, where "things were on even a more spacious scale" -- a big dog can truly have a wonderful day here. The author then goes on to describe the surroundings in a consistently pleasant way: "vine-clad servants' cottages:" this personification make the buildings seem friendly; "orderly array:" the repeated 'r' sound echoes the orderly arrangement of these small buildings. Finally, the reader can see the rainbow of colours in the "grape arbors, green pastures, orchards, and berry patches." This visual imagery truly reveals Buck's home as a special place that no dog would ever want to leave. You can see from all the orange how simple it is to pepper your commentary with literary terminology, in order to score highly in the third section of the marking criteria. Read the entire novel on Project Gutenberg, and learn more about it at Shmoop. Whether you are reading for class or for pleasure, read The Call of the Wild to improve your English!